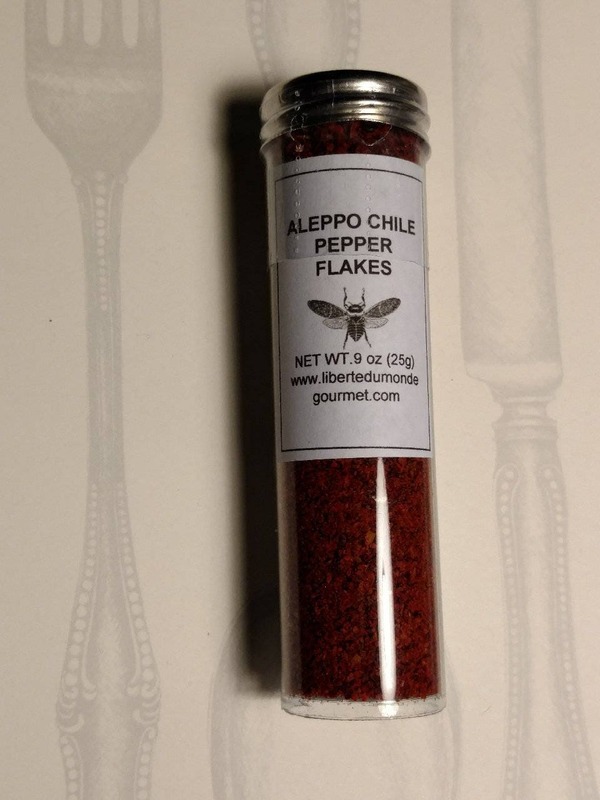 The Aleppo Chile Flakes are native to the Aleppo region of Northern Syria and Turkey. 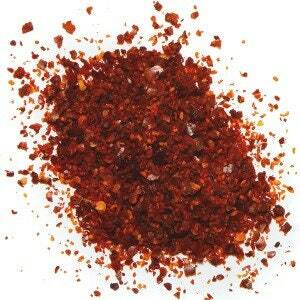 It is a chili pepper with moderate heat, sharp tasting with a bit of sweetness. It will add an authentic Mediterranean flavor without overpowering a dish. 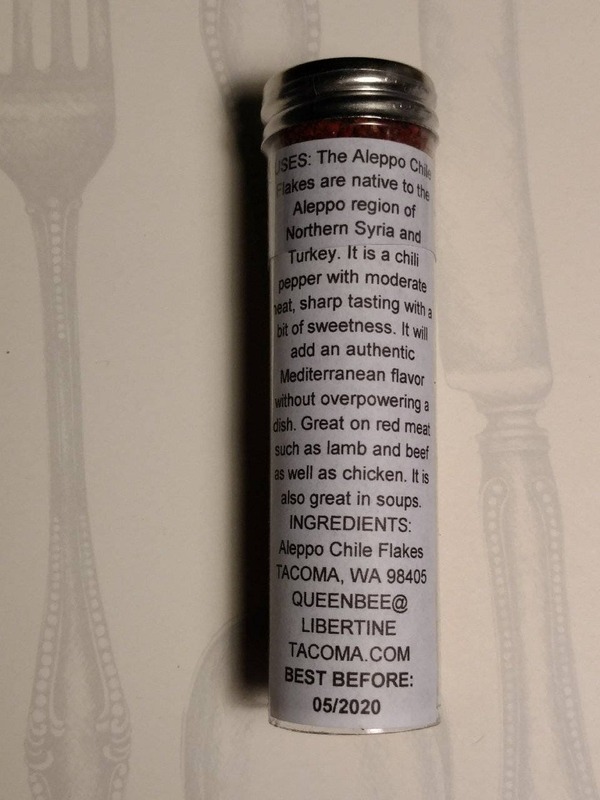 Great on red meat such as lamb and beef as well as chicken. It is also great in soups.